Enjoy the MSC Splendida Yacht Club and its club’s bar, lounge, restaurant and pool. If you are looking for a Mediterranean cruise on a state of the art ship then MSC Splendida is perfect for you. Suitable for families and young adults, the MSC Splendida cruise ship has a lot to offer. Throughout the cruise you can attend numerous parties and events as well as dance classes and sports tournaments for all to enjoy. Children can spend some time in the 'Il Polo Nord' and the teenagers can enjoy discos and events in 'I Graffiti'. Other things available on the MSC Splendida are the F1 Simulator, bowling and even a 4D cinema. You can relax in the 'Aurea Spa' with its sauna and Turkish baths, workout in the fitness centre or take advantage of the jogging tracks, swimming pools and whirlpools. At night enjoy a delicious meal in 'L'Enoteca' - the wine and tapas bar or in 'La Piazzetta' that has live music. Onboard entertainment at night includes the 'Royal Palm Casino' if you want a night of gambling, the 'Club 33' if you prefer to dance the night away or 'The Strand Theatre' if you like musicals. The MSC Splendida offers a wide variety of cabins and suites, all of which provide a fantastic ambiance that will help you feel at home in no time. Each cabin includes special features, such as air conditioning and a safe for your valuables. Guests in suites have the additional luxury of a Nintendo Wii console. Cabin categories range from inner and outer cabin with or without a balcony to a variety of luxury suites, including the Standard Suite, Deluxe Suite and the Royal Suite with balcony. Additionally, the Executive & Family Suite features a wonderful panoramic window. Guests in the Aurea Suite have the opportunity to choose between a balcony or panoramic window. Four restaurants such as Sante Fe Tex Mex and L'Olivo, with international cuisine from Italy to Mexico offer a wide range of delicious dishes. After dinner you can relax with a drink in the Purple Jazz Bar or enjoy delicious ice cream at La Piazzetta. Pago Buffet also offers more casual buffet-style dining on board. Enjoy a coffee in the cosy atmosphere of L’Espresso while flipping through the pages of your favourite magazine. The Splendida offers plenty of activities for your recreation and leisure, such as swimming in one of four pools on board or just relaxing on a comfortable deck chair in the sun. Night owls will be very pleased with Club 33 Disco as well as the Royal Palm Casino. where you can play poker, black jack or try your luck at the slot machines. There is a diverse programme of wellness and sports activities available on board. Use the spa with its sauna and massage treatments to get some well-deserved downtime or get a workout jogging or playing squash. The cruise ship MSC Splendida presents an exquisite passenger zone. The MSC Yacht Club offers many exclusive services, such as a personal greeting from the captain and 24-hour room service. The quiet atmosphere of the library makes it the perfect place for avid readers. There is no set dress code on board to which one must adhere; passengers are invited to dress at their leisure. Clothing recommendations for special events can be found in the cruise program. As there will be formal events on board, it is advisable for men to bring a suit and for women to bring elegant evening attire. The Splendida is a relatively new ship, having only being in service since 2009. The ship was to be named MSC Serenta but it was changed to its current name in order to showcase its beauty and elegance. 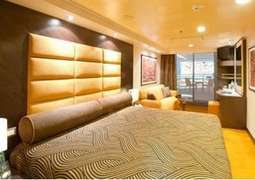 It is owned by the Swiss global cruise company MSC Cruises. Some of their ships include the MSC Orchestra (link), MSC Sinfonia and the MSC Magnifica. As of 2015 it is the world´s largest privately owned cruise company. One very significant feature of the Splendida is the quiet and tranquil library on board. This is the perfect place for anyone looking to relax after the day’s activities. 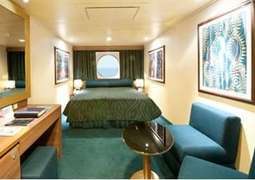 This ship has a multitude of offers such as luxurious cabins, a swimming pool, discotheque and casino, the Splendida caters for all people. Some spectacular destinations of the Splendida include the Mediterranean, Brazil and Norway. 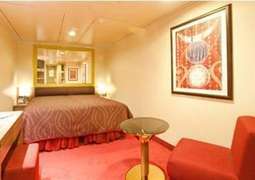 The standard of accommodation on the Splendida is unparalleled. Each cabin comes with air conditioning and a safe for valuables, with the additional feature of a Nintendo Wii for guests that have suites. 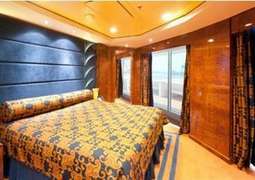 With such a wide variety of cabin categories it should be no effort finding the perfect accommodation. The Splendida consists of inner and outer cabins that come with or without balconies, depending on preferences. More luxurious cabins, for example the Executive and Family Suite come with a charming panoramic window. On the Splendida there is a choice of four different restaurants that offer cuisine from many countries around the world. After dinner you have the option to have drinks in the ships elegant Purple Jazz Bar or attend La Piazzetta and indulge yourself by having delicious ice cream. If you haven’t already been spoilt for choice you can vacate to L´Espresso and enjoy a coffee and a light snack.